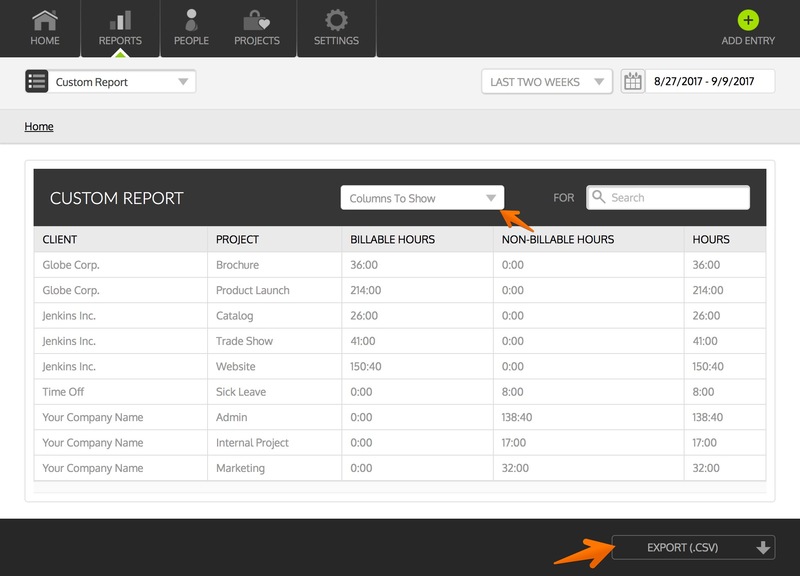 Our latest round of updates features two new report types that we hope will help you with your accounting and payroll! Our new Custom Report type will allow you to build your own report by selecting the data columns you want reporting data for. You can include Client, Project, Service, and People, to get as detailed a view of your data as you need. If you want to focus on a specific item only, we have a new report filter that will allow you to search for just the data you want to see. View more info about Custom Reports in our help center. 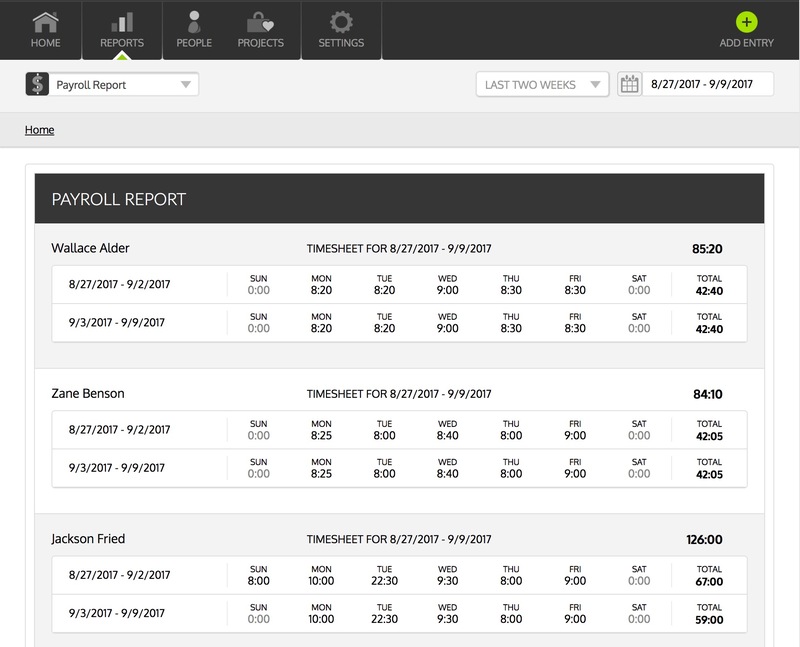 The new Payroll report in Time IQ can help you with payroll for hourly employees. 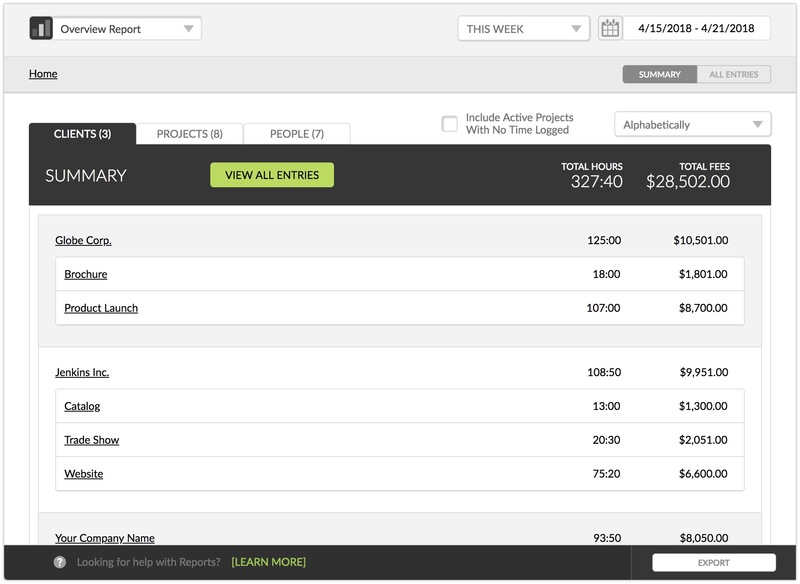 You can select any period of time, and the Payroll Report will show you which employees worked and how many hours they worked each day with weekly totals. View more info about Payroll Reports in our help center. 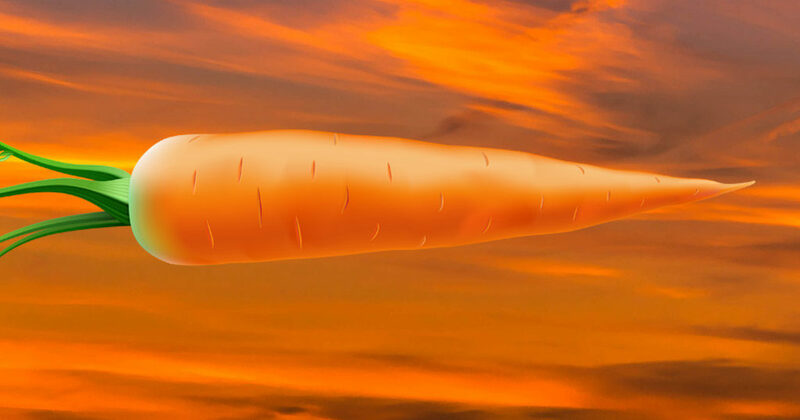 We have started working with several customers on 3rd party integrations via zapier.com as well as Slack and a few other platforms that support webhooks. If you have any integration needs for Time IQ feel free to reach out and we would be happy to help make it happen, email us at support@timeiq.com. Like your friends and family always tell you, it’s great to be a freelancer and work for yourself. You get to set your own hours, wake up whenever you like, and enjoy a luxurious cup of coffee or tea while everyone else is stuck in morning rush hour traffic. Or at least that’s the “grass is always greener on the other side” take on your daily routine. The reality is that you either have a to-do list that never ends or more lounge time than you expected. No matter where you are right now on that spectrum, it always seems like time is the enemy. But why? Why are you at war with time when everyone seems to think you two should be best friends? Ultimately, you can probably pin your time-related issues on one thing: poor timekeeping. Without good data that clearly tells you how long each step in your process takes, you don’t have any real insights to leverage when estimating new jobs. And, if you can’t estimate jobs accurately, you’re probably losing money, sleep, and clients. Thankfully there’s an easy solution right where you look for all of your answers these days: online. With the right online time tracker, you can create better estimates, streamline accounting, invoice accurately, and prove your value to clients. As a freelancer, your job estimates are your life’s blood. When your estimates are accurate, clients are happy the work is done on time and within budget. When your estimates are off, deadlines are missed, projects go over budget, and relationships are damaged. But you already know how important it is to hit those deadlines, so you scramble furiously to hit each milestone, often working crazy hours to finish in time. When you get the lead out like that, you make clients happy but exhaust yourself for the next job and undercharge for your efforts. You need a smart, online time tracking solution to improve your estimates, your business, and your work-life balance. Create a task list. Create a step-by-step list of your process for each service your offer. Include all of the small administrative tasks that often get overlooked, such as meetings, notes to clients, phone calls, research, etc. Creating a list like this will help your estimates be more accurate, but it can also be used to set expectations with clients so they know the rhythm of the job and what’s included in the services you offer. It will also help you define billable and non-billable items, so everyone is clear on what you charge for. Double check the task list. Once you have a complete task list, log in to your online time tracker of choice to double check that all of your tasks are, in fact, on the list. You might find that you have a number of admin tasks on one list but not the other. To develop accurate estimates, you need to have a consistent, well-thought process for each service you offer, so spend some time now to decide how you do the voodoo that you do so well. Write your process down, print it out, and stick it to the wall next to your monitor. Now you’ve made a great roadmap and decorated your workspace. Ok, maybe “decorate” is too strong of a word here, but we can workshop that later. Add time to the task list. After you have a step-by-step task list you’re happy with, add time to each step. If you don’t have time tracking data available for a given activity, guesstimate how long it takes to complete. Any guesstimating you do should be eyed with major suspicion because jobs always take longer than you think. In fact, guesstimating is what throws off your estimates more than anything else, so avoid it if at all possible. Dig through old emails or notes to find how much time each task takes; don’t guesstimate lightly. Total it all up. Add up all of the time for each step on your big list, and then multiply the total number of hours by 1.5. It may seem like you’re padding your time, but you’ll find that doing this will create estimates that are a lot closer to the actual hours you invest in each job. And that’s it! Now that you’ve created better job estimates, let’s see how time tracking can improve the rest of your workflow too. Smart online time tracking platforms can seamlessly integrate with your invoicing software, automating manual accounting steps across client projects to save you oodles of time. As if reclaiming that lost time wasn’t enough, online time trackers can improve billing accuracy and reduce errors too. With the hours you worked detailed and timestamped down to the minute, you can feel more confident than ever that your invoices are correct. Not only will you feel better about your invoices, but meticulously tracking minutes and only billing what you work can be a selling point to clients too. When you give a client an estimate of how long a job will take, you want to stick as close to that amount of time (and money) as you can. Sometimes though, the work takes longer than you expected or the dreaded “scope creep” monster rears its ugly head. No matter the situation, you need to bill what you worked, not what you estimated before the project kicked off. Online time tracking helps you invoice the right amount of money because you can clearly show the time it took you for a project. Or, if you want to provide more value and maybe gain some extra good will, you can show a client that you worked nine hours, but are only billing eight. Once a job is done or you’ve reached an important milestone, it’s a great idea to show clients your progress so far. To prove how rationalized your super accurate invoices are now, deliver visual reports to clients that show the time you’ve spent working for them. By being so transparent with your time, you’ll build trust and better relationships with clients. And that’s super important to any business because your next client is often your last client. Keep client relationships healthy and the work will flow. By using an online time tracker to keep tabs on your hours, you can bill accurately, restore your work-life balance, and improve client relationships. 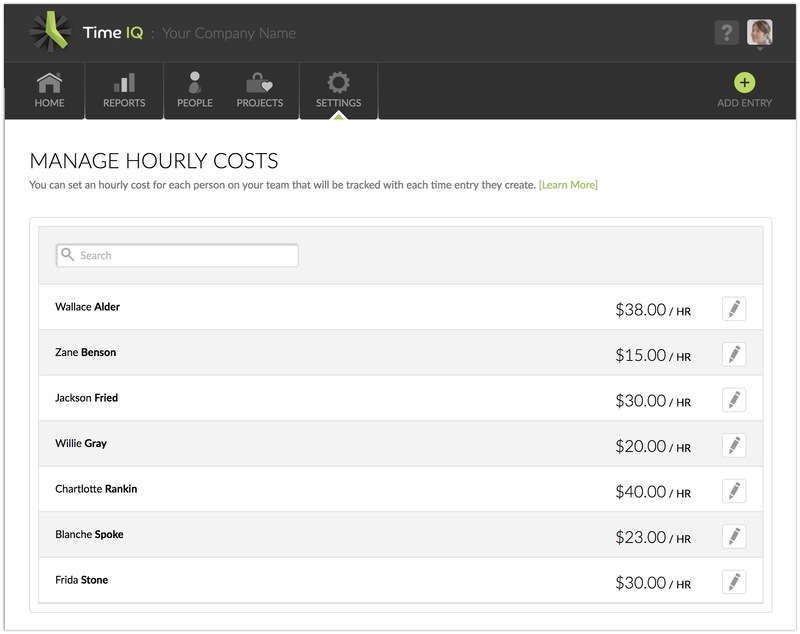 To see what time tracking can do for your freelance career, try Time IQ free for 30 days. 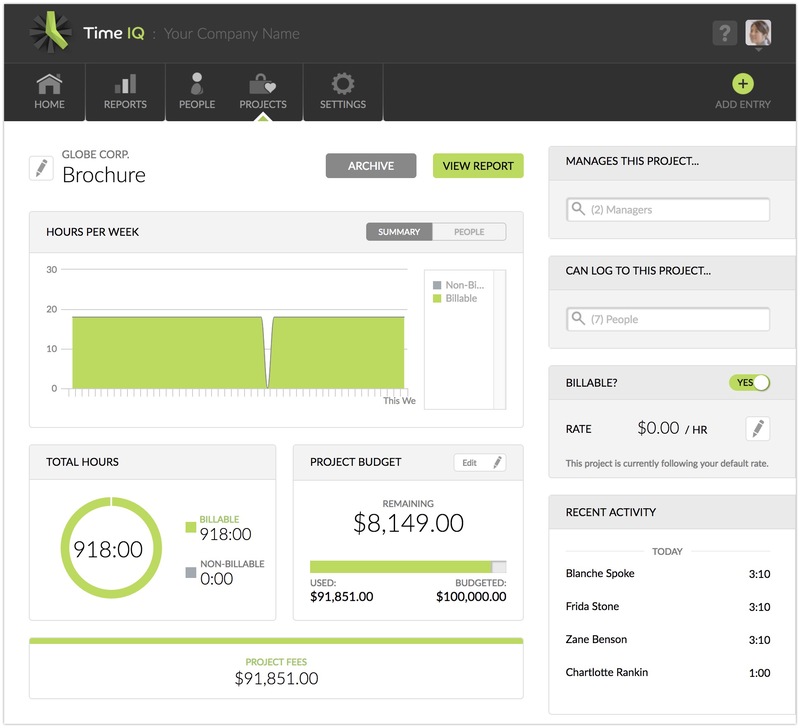 Time IQ provides an incredibly user-friendly experience at an affordable price. Whether you’re a freelancer, small business, or giant mega-corp, time tracking is a core component of your work. After all, good time tracking software, and the data it provides, is one of the most powerful tools a company has to cut costs and grow profits. But employees really seem to hate tracking their time, don’t they? In order to make smart, data-based decisions, your business needs that sweet, sweet time tracking data. Looked at in that light, making time tracking mandatory company-wide is probably the right move. But your team may not understand why you need it and why they should want it too. Time tracking is good for the company because it helps management wisely allocate resources, create accurate invoices, and quickly generate payroll. Employees get more manageable workloads when management understands how much work is ideal for each person. Time tracking data provides a rational basis for productivity expectations so everyone is clear how long it should take to complete each project. Employees get micro-managed less when management understands that the work is getting done on time so they can trust employees more. Time tracking data provides a historical context that can clearly show which employees need help and which don’t. Employees get more location flexibility when it’s easy to clock in and out from anywhere while getting the job done. You don’t have to live in a cubicle farm to get work done, you just need to prove you’re getting work done. 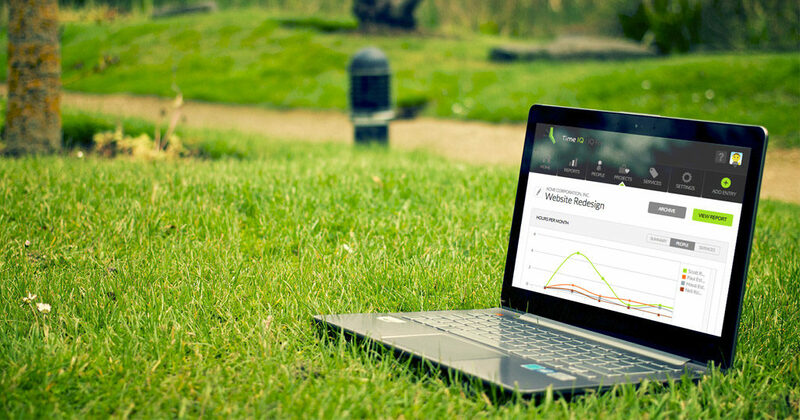 Time tracking helps add that level of transparency, making everyone feel better about your poolside conference calls. Now that everyone understands why you’re tracking time, it’s important to explain to employees what’s expected of them and why. To be as clear as possible, it’s a good idea to create a written time tracking policy (download a customizable time tracking policy here), hand it out to all current employees, and make it part of the onboarding process for new employees. Your policy should cover which activities employees are expected to track, what time increments activities should be tracked in (e.g., 15 minute blocks), and where time should be logged to (e.g., in Time IQ under Client Y, Project X). Of course, regularly talk to employees face-to-face about your time tracking expectations too. By incorporating time tracking into project discussions or weekly 1-on-1 meetings, you can ease tensions between management and employees. When everyone knows what’s due when and why, there’s no questions or concerns around timelines. When discussing timelines, it’s important that everyone be open and honest about what’s going well and what isn’t. One last thing, it’s important that managers track their time too. It can be pretty discouraging to employees when they hear their manager doesn’t follow their own rules. When managers walk the walk, the team can move forward as one (and it also helps managers understand the systems their employees use). and other features relevant for your business (e.g., user-level permissions, Entry Locking or Required Notes). Get a free 30-day trial of Time IQ today and see if it works for you. If not, that’s fine as long as you don’t wind up with paper timesheets. No one wants to see that. After your team has been tracking time for a week or two, they’ll naturally be curious what kind of insights are coming out of the time tracking machine. So, don’t just stand there, lead from the front and share your findings. Be proactive and bring up what you’ve learned so far at regular meetings. Always try to put the data into real world terms so your team can see how time tracking plays into the work they do. When your team understands how time tracking factors into their day-to-day efforts, they’ll be more engaged because they can clearly see how their work contributes to the success of the organization. One word of caution here: don’t use time tracking data to publicly chastise anyone. When you praise in public and admonish in private, no one’s feelings get hurt. Information is (at least) a two-way street too, so remember to ask your team for feedback on the new time tracking system they’re using. After all, employees are your company’s resident experts, so make sure they feel included in the process. They might come up with new ways of using that time tracking data to make your team even more efficient. And even if they don’t have any amazing ideas right away, you’ve told them that their opinion matters which can go a long way toward improving morale.